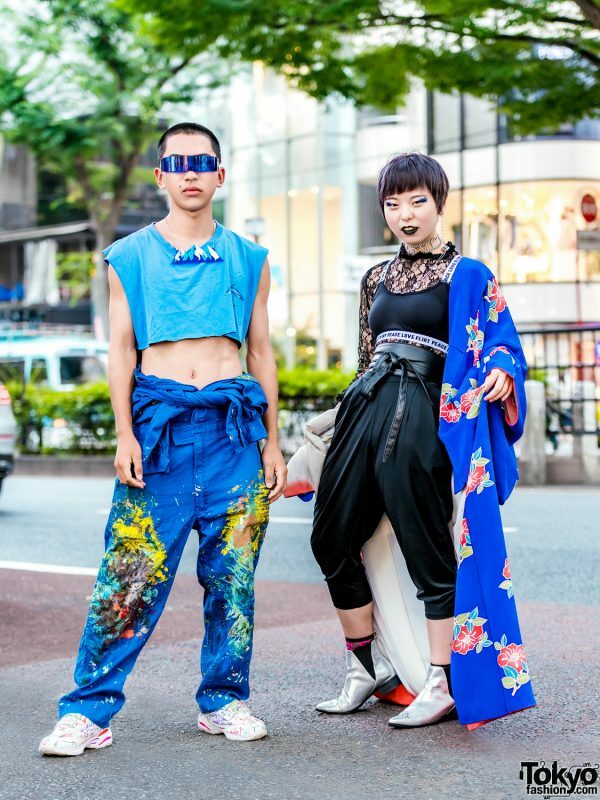 Meet Lisa and Yuya, two teens we caught up with on the Harajuku street one afternoon. 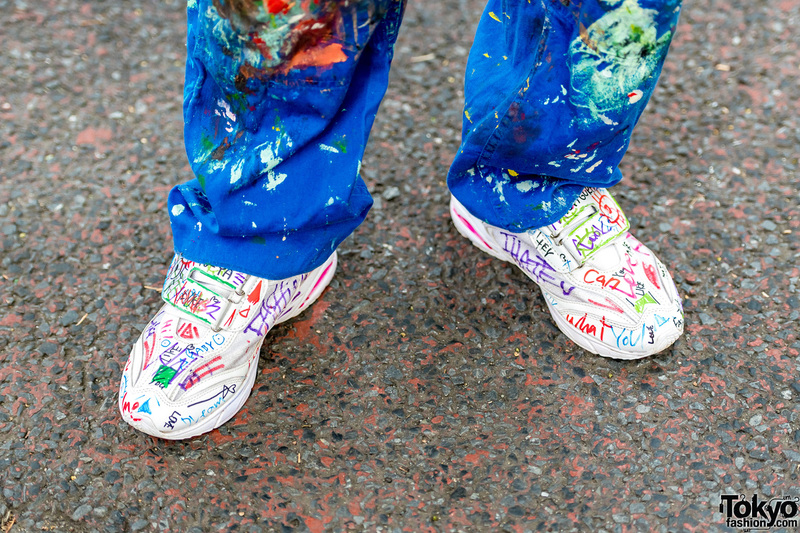 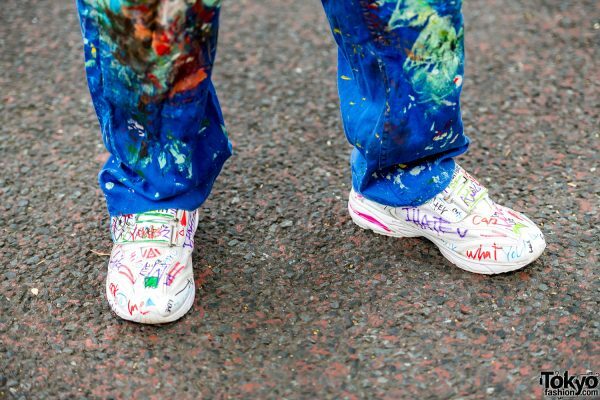 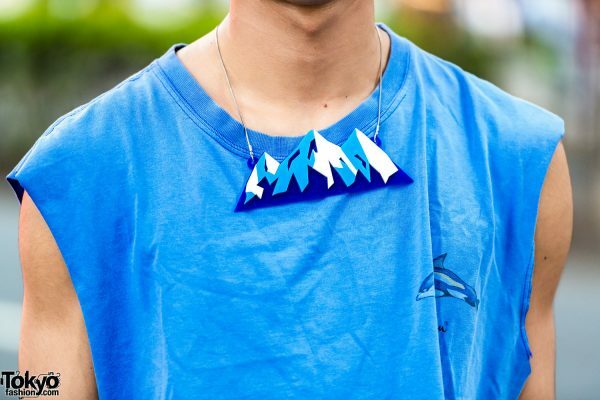 Their avant-garde streetwear looks definitely caught our eye. 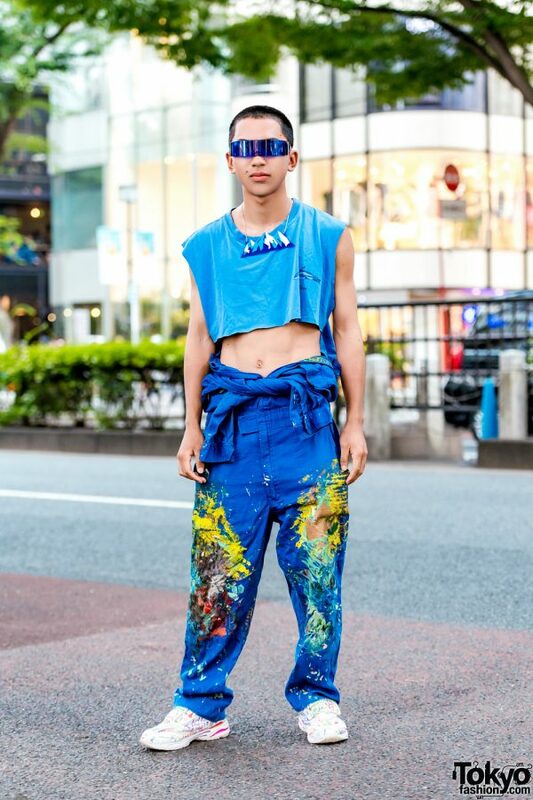 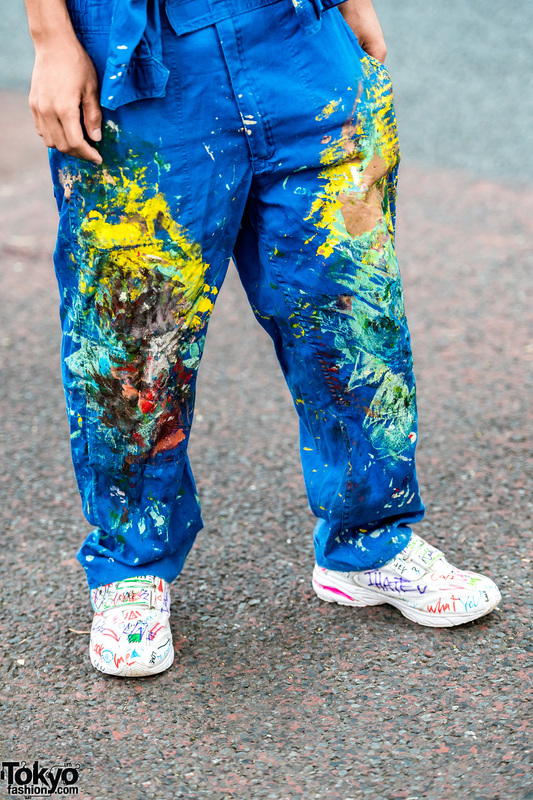 Yuya – 17-years-old – is wearing a blue vintage cropped top, paired with blue paint-splattered Tsunagi overalls with the top worn around his waist. White sneakers with colorful writing and accessories from Hoyajuku such as blue shield visor sunglasses and a mountain bib necklace. 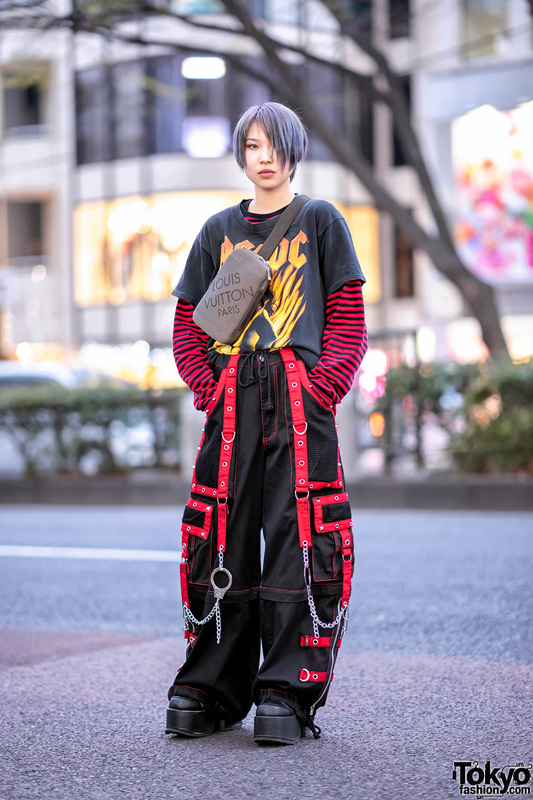 Yuya likes to shop at Kaka Vaka, and he likes listening to hip hop music, XXXTentacion, Eminem and Shishamo. 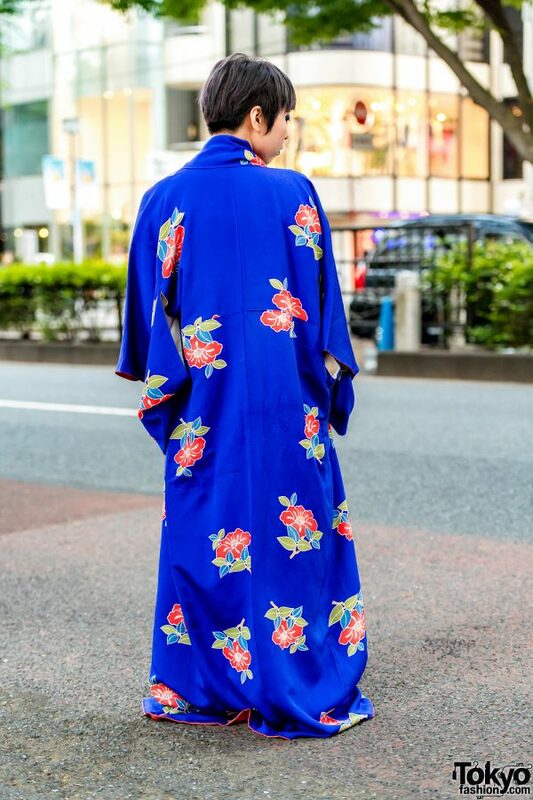 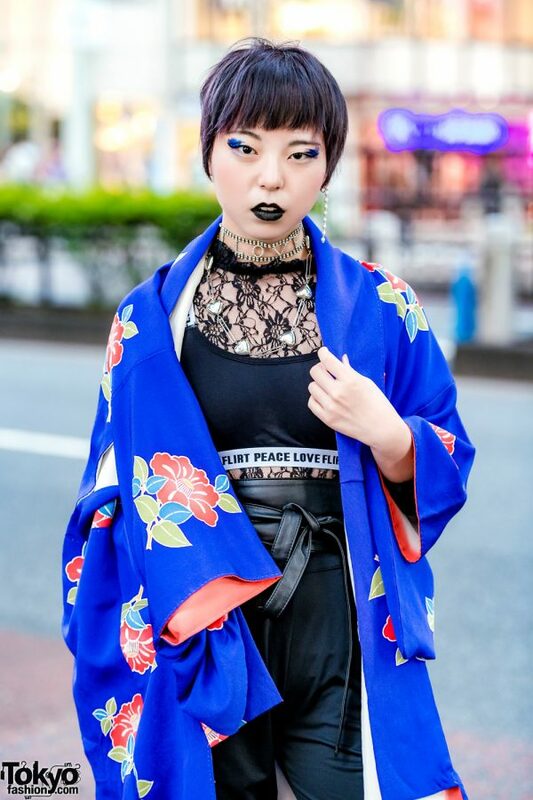 Meanwhile, Lisa – an 18-year-old student – is clad in a blue floral print kimono from Spinns, which she styled with a black bralette worn over a black lace top with ruffled neckline, black harem pants from Uniqlo, and a black leather obi belt. 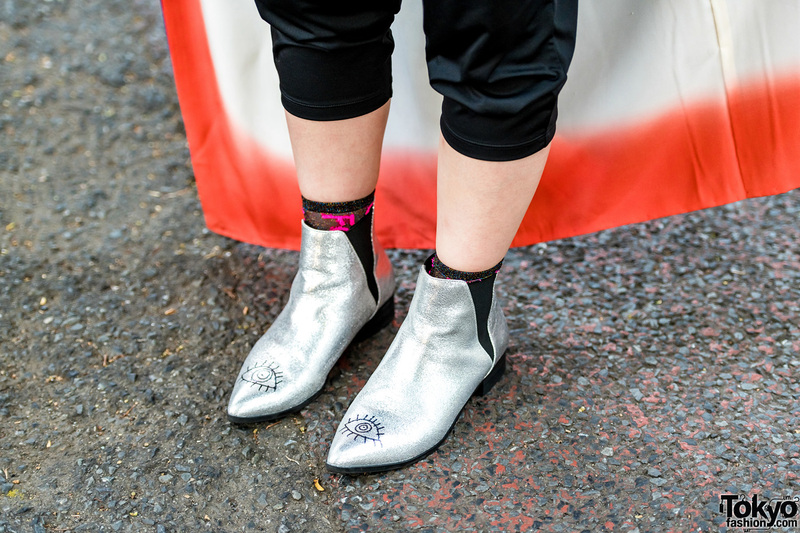 Black glitter socks with pink prints, handmade silver glitter chelsea boots, and accessories from Spinns such as a single heart drop earring, an I Love You rhinestone choker, and a heart chain necklace rounded out Lisa’s stylish outfit. 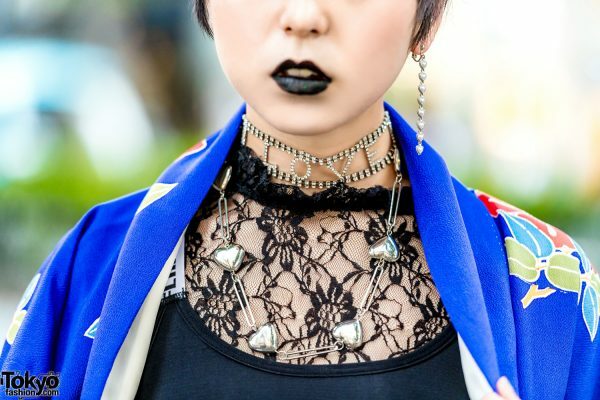 Lisa loves listening to One OK Rock, and she is also on Instagram.